Mainstream Media outlets are going far over the line of common decency, desensitizing political violence to the masses. 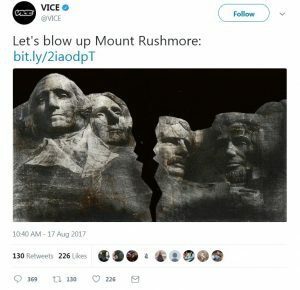 Today, Vice News published an article in a tweet titled “Let’s Blow Up Mount Rushmore”. The title sparked immediate outrage and Vice deleted the tweet, but not before thousands of screenshots were captured. If Rushmore ever did get “blown up,” what should those dudes be replaced with? 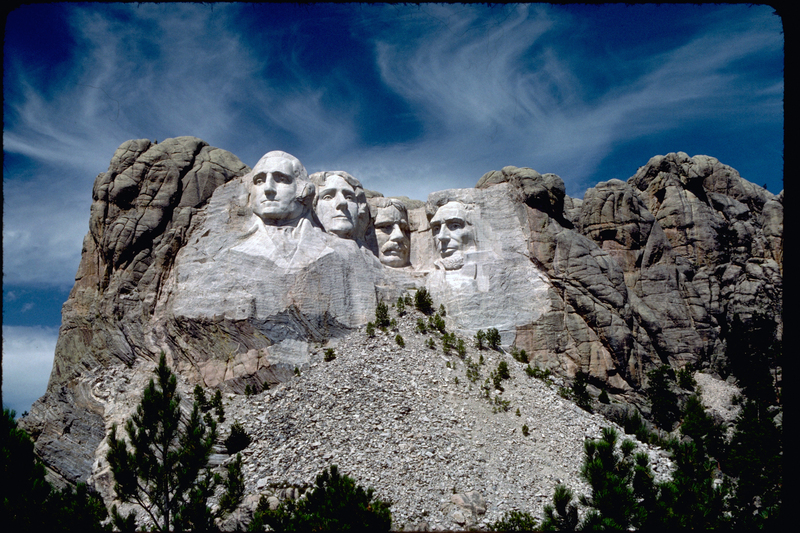 Fact is, I’m not sure there is any American president worthy of being etched into the side of a 60-foot mountain with explosives and jackhammers. I mean, every single one has at least been partially complicit in horrific atrocities. After the weekend’s chaotic events in Charlotesville, VA, CNN misled viewers by painting the known violent-anarchist group ANTIFA as purveyors of justice. Antifa, the group whose slogan is “by any means necessary”, became known for their riots on campus and shutting down free-speech events. The group has also been declared a terroristic extremist group by NJ Department of Homeland Security. The media endorsement of political terror is frightening and mirrors the Nazi propaganda ministry of Joseph Goebbels.